In stock -This product will ship today if ordered within the next 4 hours and 42 minutes. 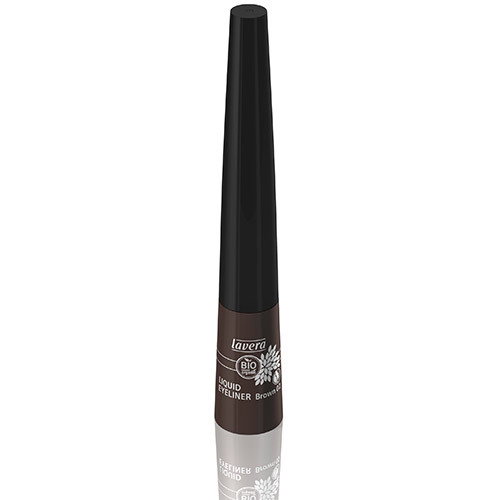 lavera Liquid Eyeliner - Brown. 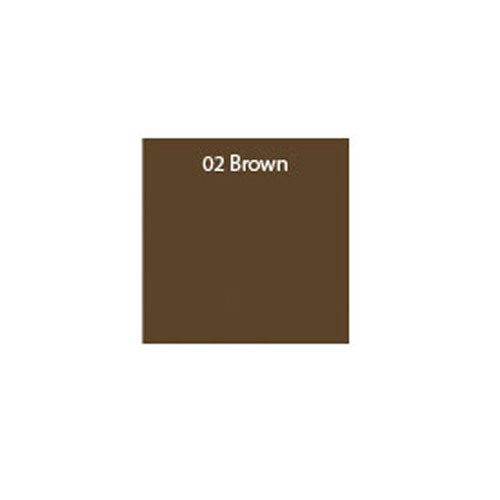 Produced according to NaTrue guidelines for natural cosmetics. Water (Aqua), Alcohol*, Sucrose*, Silica, Citrus Grandis (Grapefruit) Fruit Extract*, Dehydroxanthan Gum, Argania Spinosa Kernel Oil*, Glycyrrhiza Glabra (Liquorice) Root Extract*, Hippophae Rhamnoides Fruit Extract*, Cocos Nucifera (Coconut) Oil*, Camelina Sativa Seed Oil, Vegetable Oil (Olus Oil), Theobroma Cacao (Cocoa) Seed Butter*, Butyrospermum Parkii (Shea Butter)*, Olea Europaea (Olive) Fruit Oil*, Hydrogenated Lecithin, Malva Sylvestris (Mallow) Flower Extract*, Rosa Centifolia Flower Extract*, Tilia Cordata Flower Extract*, Ascorbyl Palmitate, Tocopherol, Helianthus Annuus (Sunflower) Seed Oil, Fragrance (Parfum)**, Citral**, Citronellol**, Geraniol**, Limonene**, Linalool**, Benzyl Benzoate**, [+/-Iron Oxide (CI 77499), Iron Oxide (CI 77491), Mica (CI 77019), Ultramarines (CI 77007)]. With the fine brush, starting at the inner corner of the eye, draw a line across the lid. Below are reviews of lavera Liquid Eyeliner - Brown 02 - 5ml by bodykind customers. If you have tried this product we'd love to hear what you think so please leave a review. This product is fine. I'm not sure if it's just me but I find it difficult to avoid getting it on my eyelashes and hardening. I must wipe my eyelashes thoroughly before applying mascara as they become hard. Once I've done this it is okay. Maybe it's just my eyesight!